Yesterday’s agreement represents several months of negotiations between the EU’s governing institutions over proposed revisions to the EU’s Anti-Money-Laundering Directive (AMLD), in which the measures the Directive would take to address anonymous companies were a key area of discussion. Pending final approval by the full Parliament, the revised Directive will require every EU member country to collect information on the “beneficial owners,” or the natural persons who ultimately own or control a company, for all companies in their jurisdiction and store this information in a central registry available to law enforcement, financial institutions, and others who can demonstrate that they have a legitimate interest in obtaining beneficial ownership information for companies. In March, the European Parliament overwhelmingly approved a version of the Directive that would have required every EU country to establish ownership registries and make the information freely available to the public. The Council, which is composed of government ministers from each EU country, released its own draft in June that would also mandate central registries but not require public access. The agreed text strikes a compromise between these initial positions, requiring EU countries to provide access not only to law enforcement and financial institutions, but also to members of the public with a “legitimate interest” in the information, although there is no indication of what interests will be considered legitimate. The Directive also will not prevent countries from going beyond the Directive’s requirements and opening their registries to full public access, as the United Kingdom and Denmark have already announced plans to do. The agreement also sharply contrasts with the lack of progress in the United States, where U.S. states are notorious internationally for allowing anonymous companies to be formed. However, despite the U.S. Administration’s continued commitments to increase beneficial ownership transparency over the past several years, they have done little to achieve progress on the issue domestically. GFI spokespersons are available to comment on the EU AML Directive. To schedule an interview with Mr. Baker, Mr. Simmons or other GFI spokespersons, contact Clark Gascoigne at +1 202 293 0740 ext. 222 (office) / +1 202 815 4029 (mobile) / cgascoigne@nullgfintegrity.org. Click here to read an official statement about the agreement from the European Parliament. Click here to read a recent blog post by GFI’s Heather Lowe on why beneficial ownership information should be made public, published October 30, 2014. Click here to read our statement on the Danish government’s announcement of its intent to establish a public registry of all Danish companies. Click here to read the April 2014 report from the UK government announcing its intent to establish public registries of all British companies. 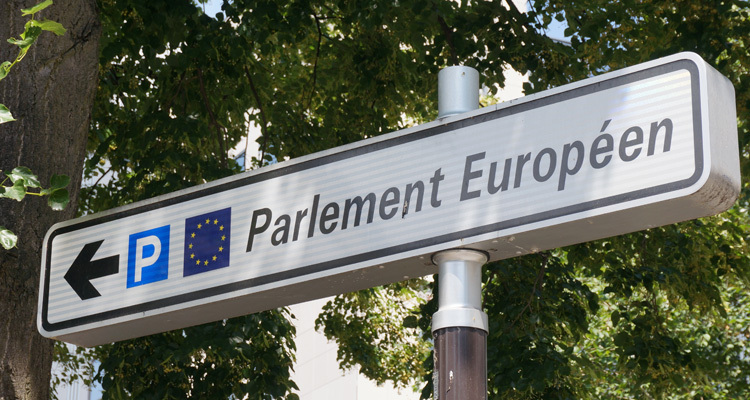 Click here to read an official statement regarding the full European Parliament’s vote in March to overwhelmingly approve the draft Directive with a provision for fully public registries. Click here to read the White House’s Open Government Partnership National Action Plan, committing to address anonymous companies, published in December 2013. Click here to read the White House’s commitment to tackle anonymous companies from the G8 summit at Lough Erne in June 2013.